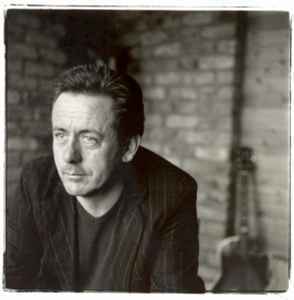 Luka Bloom (born 23 May 1955, Newbridge, County Kildare, Ireland) is an Irish folk-rock singer and songwriter, he is the younger brother of Irish folk singer Christy Moore. He began his career using the name Barry Moore, but after moving to the United States in 1987 he swapped to the stage name of Luka Bloom. He chose the name "Luka" from the title of Suzanne Vega's song about child abuse and "Bloom" from the main character in James Joyce's novel Ulysses.